“On Christmas Eve, Hiro Hirono’s bike is stolen by a girl chasing a thief who stole her purse. He gives chase and finds her unconscious and his bike ruined. The girl, Miyako Miyamura, soon awakes and the two begin to talk. After making sure she is okay, they end up spending Christmas Eve together. 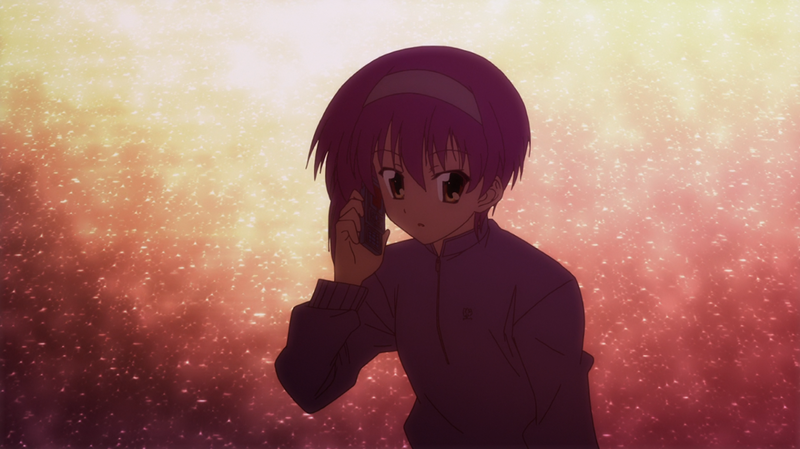 Later, Hiro finds out Miyako attends the same school as him and they begin to spend more and more time together, Miyako developing affections for Hiro. Kei Shindou—Hiro’s childhood friend who has long held a crush on him—begins to become jealous and a love triangle follows. “In a story set years in the past, Himura Yuu is a studious and diligent young man intent solely on maintaining his top academic position at Otowa Academy. One day, he meets a mysterious girl named Amamiya Yuuko, who, to his surprise, recognizes him. Memories of a distant childhood, memories rather left forgotten…meeting Yuuko again will force Yuu to confront the regrets and sorrows of their collective pasts and presents. 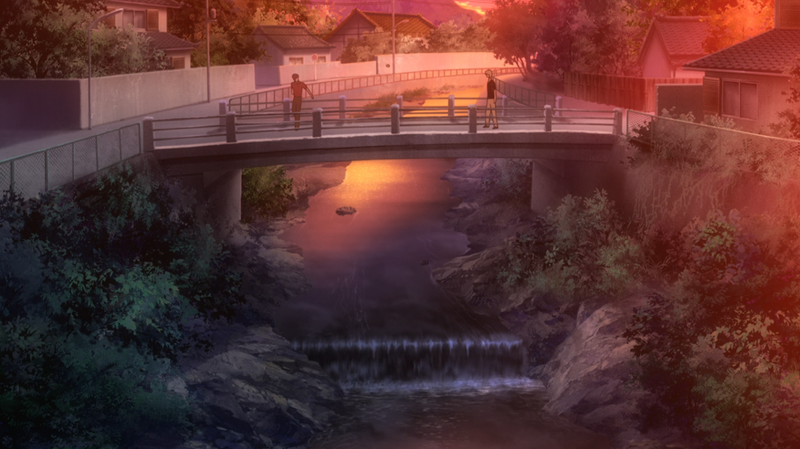 This series was produced by SHAFT, the anime studio who brought us the Monogatari series as well as Madoka Magica so they have a well established reputation for visually appealing anime. The anime can be a bit confusing at times but as it progresses you can see the stories begin to intertwine and make more sense. 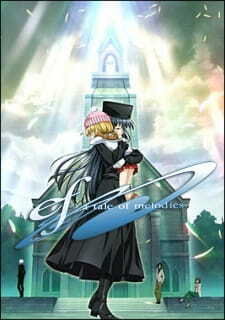 For the sequel, ef: a Tale of Melodies, the series focuses more on the adults from Memories, Yuuko, Yuu, and Shuuichi, and tells their past and leads everything back to the present time where the stories from both series come together in the end. I don’t want to get too into specifics or details for the anime since that may end up spoiling it, but I will say that the visuals are outstanding. Not only are the backgrounds and scenes very well executed, there is a heavy use of imagery and symbolism throughout which makes both series very appealing to the eyes. The colors used for the show are very bright and simplistic, without much shading which makes makes everything look very clean. In addition to the amazing visuals, the soundtrack for the series fit very well with vocals for the opening being sung by ELISA (Valvrave ED2, The World God Only Knows OP). The OST that plays throughout the show is also very well done and helps bring scenes to life and makes them unforgettable. I highly recommend that if you haven’t seen it yet, that you check out this series since it left a huge impact on me. 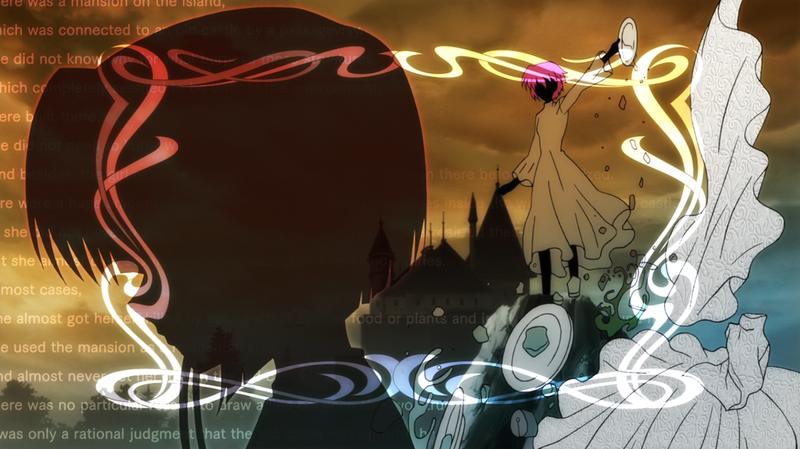 Not only was the storytelling well done but the entire presentation of the anime was magnificent. Also, unlike many other series, ef managed to have a satisfying conclusion.